Our selection of small radiator and towel rail parts include blank plugs, bleed valves, t-pieces for dual fuel, reducing kits for plastic pipework, chrome pipes and collars and radiator feet. These are all small additions to complete your chosen heating installation. Our NWT Chrome Blank Plug / End Plug is for use with radiators or towel rails where you wish to blank off one of the entries with a neat chrome threaded plug. We recommend PTFE tape is used for tight seal. Our NWT Chrome Bleed Valve is for use with radiators or towel rails where you wish to bleed any air excess air from your system. We recommend PTFE tape is used for a tight seal. NOTE: Bleed Key is not provided. Our Chrome T-Piece is used when you require a dual fuel setup so your product can work as stand-alone electric during the summer months and on your central heating system during winter. The t-piece allows and electric element to be installed into the underside of the towel rail or radiator (through the body of the t-piece) and the valve connects on the side. Our 15mm to 10mm reducing kit allows our range of radiator valves to be installed onto 10mm pipework. 10mm pipework is usually found in newer builds which use microbore systems. These Chrome towel rail brackets can be used for both straight and curved towel rails. They are adjustable and will allow you to alter the distance from the wall to the front of the towel rail between 80 to 115mm. These White towel rail brackets can be used for both straight and curved towel rails. They are adjustable and will allow you to alter the distance from the wall to the front of the towel rail between 80 to 115mm. Our Chrome Pipe and Collar Set allows you to achieve a neat finish to your radiator or towel rail instillation onto your central heating system. NWT Direct offer a wide range of radiator pipe sleeves and floor caps which perfectly match the finish of our radiator valves. 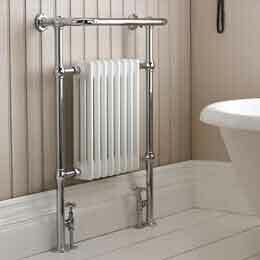 Our chrome towel bars are designed soley for our Thor range of modern aluminium radiators. These add a touch of individuality and are a great functional addition to your radiator. 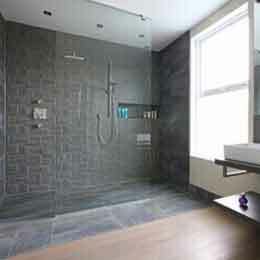 Our black towel bars are designed soley for our Thor range of modern aluminium radiators. These add a touch of individuality and are a great functional addition to your radiator. Our chrome towel bars are designed solely for our range of Alpha, Avantis, Luna & Metis modern chrome radiators. These add a touch of individuality and are a great functional addition to your radiator. Our chrome towel bars are designed solely for our range of aluminium wave and flow modern radiators. These add a touch of individuality and are a great functional addition to your radiator. Our chrome towel bars are designed solely for our range of double aluminium wave and flow modern radiators. These add a touch of individuality and are a great functional addition to your radiator. 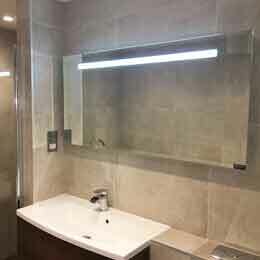 Our chrome towel bars are designed solely for our Linear range of modern flat panel radiator. These add a touch of individuality and are a great functional addition to your radiator. 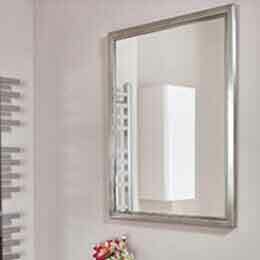 This Surf Chrome towel bar is designed solely for our Surf Radiator / Towel Rail. These add a touch of individuality and are a great functional addition to your radiator. 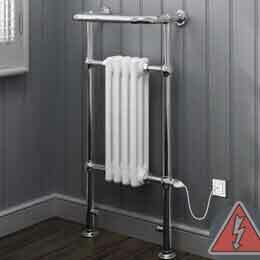 You can up to a maximum of 2 towel bars per radiator. Our white floor mount supports are designed solely for our Korona range of Column radiators. These will be supplied as a pair and are perfect for installations where you may not be able to fix your Korona radiators to a solid wall. Our white slip on feet are designed solely for our Korona range of Column radiators. These will be supplied as a pair and are perfect for installations where you may not be able to fix your Korona radiators to a solid wall. 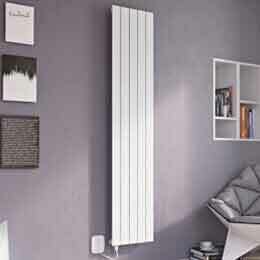 Ultraheat's white slip on feet are designed solely for the Tubularo range of Column radiators. These will be supplied as a pair and are perfect for installations where you may not be able to fix your radiators to a solid wall. 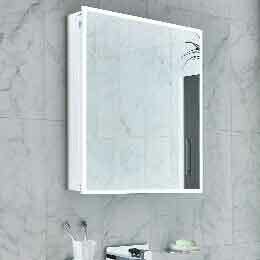 Our white slip on feet are designed solely for our Elias range of modern Column radiators. These will be supplied as a pair and are perfect for installations where you may not be able to fix your Elias white radiators to a solid wall. 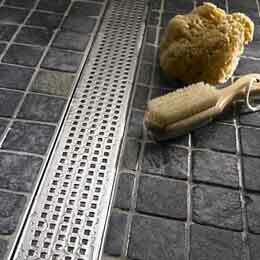 Our anthracite slip on feet are designed solely for our Elias range of modern Column radiators. These will be supplied as a pair and are perfect for installations where you may not be able to fix your Elias anthracite radiators to a solid wall. Our Bare Metal Lacquered slip on feet are designed solely for our Korona range of Column radiators. These will be supplied as a pair and are perfect for installations where you may not be able to fix your Korona radiators to a solid wall. 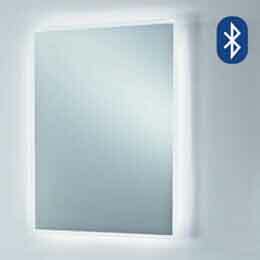 These towel bar are designed solely for our Kudox vertical Alulite ranges. These add a touch of individuality and are a great functional addition to your radiator.